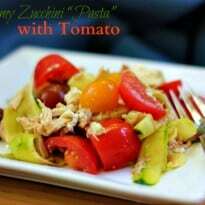 I use zucchini all the time as a low carb replacement for pasta. 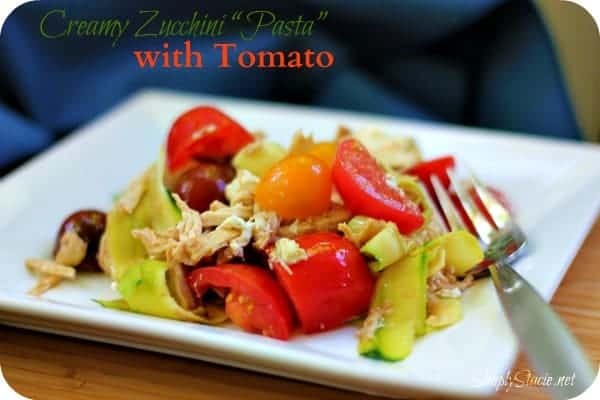 I recently did a post with some recipe ideas from Sobeys’ Inspired site and one of them was Creamy Zucchini “Pasta” with Tomato & Basil. I use zucchini noodles in hot dishes and was curious to see how they would taste cold. It turned out perfect and tastes even better the next day. It’s really easy to make. I left out the basil because our local grocery store did not have any available. When I see it there next time, I’ll pick some up and try the salad with basil to see what kind of difference it makes in the flavour. A fresh low carb meal. 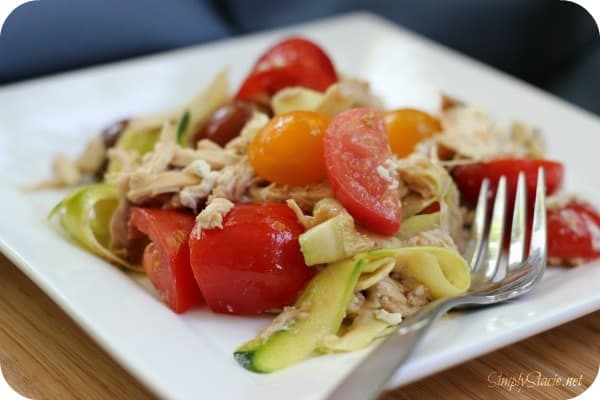 This looks DELISH, and because I need to get back on my diet soon, I’m definitely pinning it! Thanks Crissy! Let me know what you think if you do end up trying it. This looks delicious!! I appreciate that you have some great low carb recipes because I’m diabetic. Thanks! THIS LOOKS REALLY GOOD AND I AM GONNA TRY IT…..